Research data management (RDM) means organization, description, storage, preservation, and sharing of data collected and used in a research project. 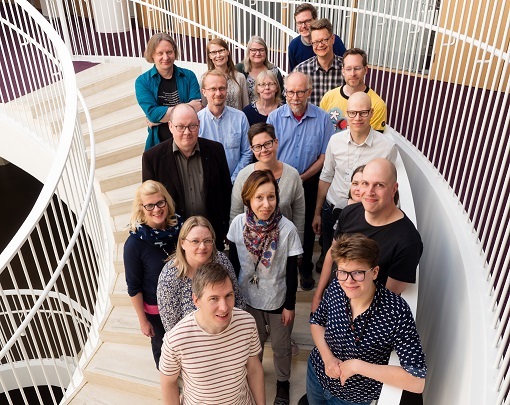 Helsinki University Data Support Network is ready to help you with all your questions: datasupport@helsinki.fi! We are a network of RDM specialists at the UH Library, IT Services, Central Archives, Research Affairs, Personnel Services, and Legal Affairs, so we find the right expert to assist you! A data management horror story by Karen Hanson, Alisa Surkis and Karen Yacobucci. This is what shouldn't happen when a researcher makes a data sharing request! Topics include storage, documentation, and file formats. Taking care of your research data is an essential part of good scientific practice.